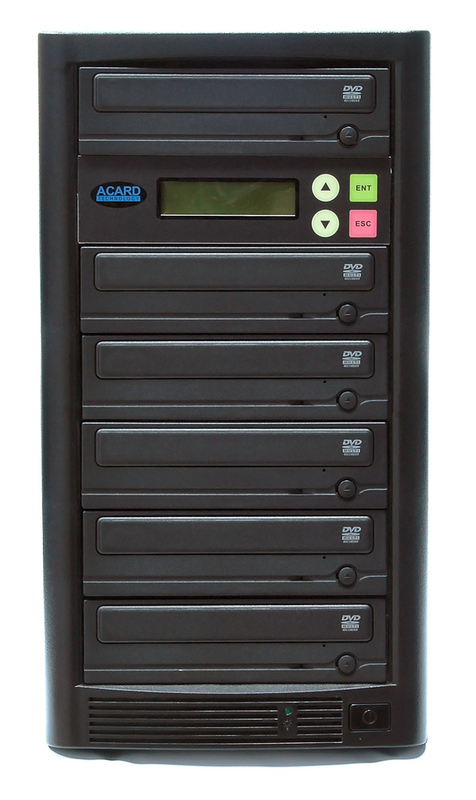 Complete and ready-to-go, this duplicator is able to copy up to 5 DVDs or CDs in a single go. No separate computer required, no complex operation, just simple button-based operation that's easy to use! 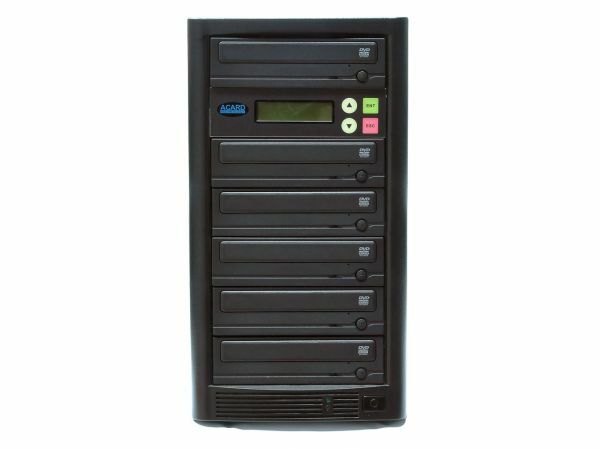 It's the time-efficient way to copy* your CDs and DVDs with the minimum of hassle and interruption. The ideal choice for small office and home setups where you don't want to have to pay professional duplication fees for moderate-sized runs. *This system may not copy some copy-protected discs. Please observe relevant copyright laws when duplicating. Cosmetic appearance may vary slightly from that shown in image above. Complete and ready to go. This product is also available in a case-and-controller-only version that you can add your own optical drives to instead.